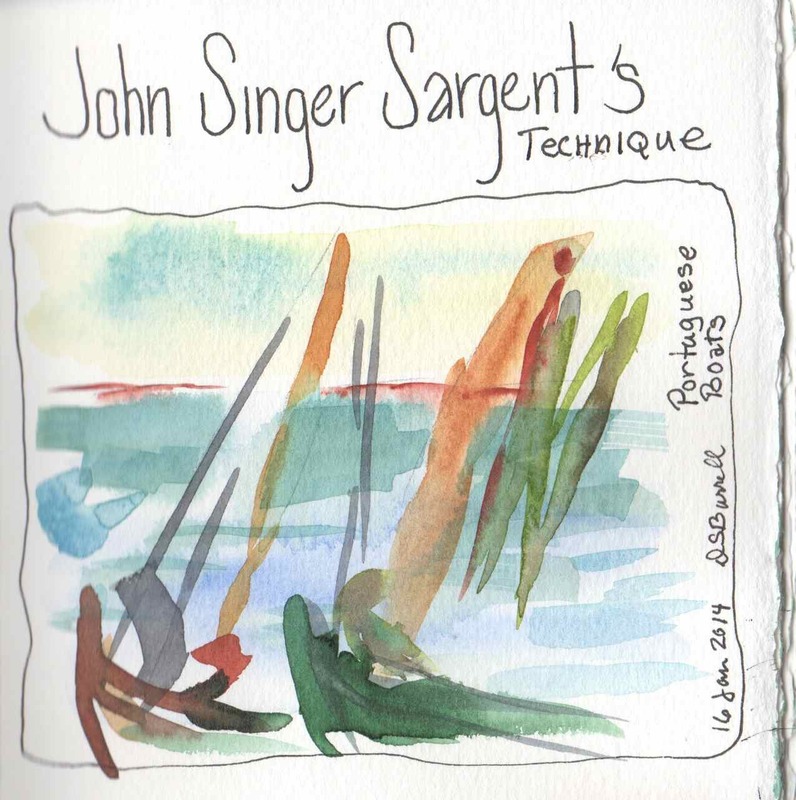 I’m still on a John Singer Sargent high! On the MFA website there’s a “Learn Sargent’s Technique” video where an artist, Monika de Vries Gohlke, demonstrates John Singer Sargent’s wet wash technique. I watched it a few times and this morning decided to paint along. Have I nailed it? … not by a long shot! But it was fun and that’s what matters. This entry was posted in Watercolor and tagged John Singer Sargent, Watercolor by Dana Burrell. Bookmark the permalink. love the colors! and the energy! !